Last part of the tributes to the four female singers with whom I have contributed to jams to date. 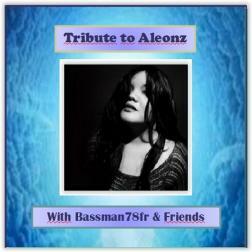 This time, it is a tribute to aleonz whose voice has nothing to envy these female counterparts on Wikiloops. Here is a compilation of these jams with other excellent musicians who will recognize themselves. Hi BM. First of all. What a great idea. "A tribute to Alice". She definitely deserves that. :) Besides that I´m so proud to be featured here. Thank you so much my friend. What a wonderful album. Merry merry Christmas mon ami.